LAGOS – The long overdue body of work from controversial Rap artiste, A-Q is scheduled for release on December 4th at a party to unite both the mainstream and underground Nigerian hip hop circuit. A-Q was in the news earlier for calling Ruggedman ‘whack’ in his hit single, Names. The rapper born Gilbert Ubani was compelled to address the situation, informing he only made an observation when he rapped ‘we don’t say auto tone, we say Jesse Jagz track. We don’t say whack, we say Ruggedman’s back’. The single followed with a remix for the track featuring Pherowshuz and Iceberg Slim. Funky house ‘Champagne and rum’ followed, growing into a viral track that has received several rave reviews both on radio and with the online platforms. 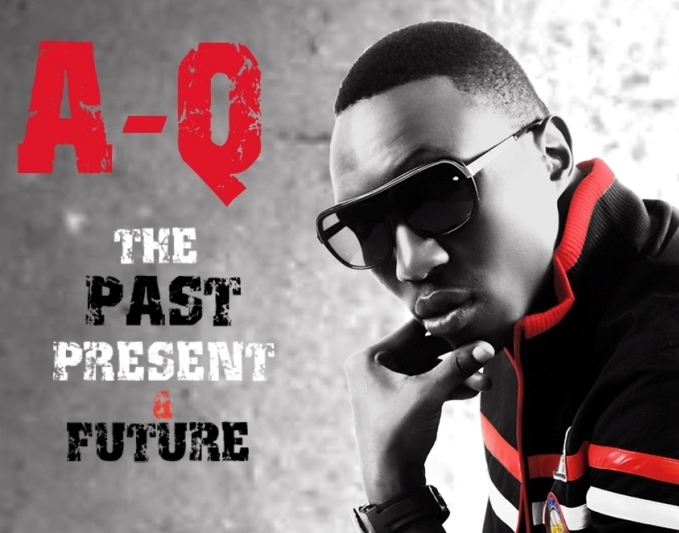 A-Q’s official debut album titled ‘The Past, Present and Future’ is a 17 tracker album featuring Terry Tha Rapman, Iceberg Slim, Xtrim, Retta, Pherowshuz, Lace and parading exceptional line up of producers – Ray X, E Twinz, XYZ, Phatboy and Laylow. “The album is a proper mix of hiphop”, A-Q describes the album in one sentence; “The Past, Present and Future balances as an album with tracks to appeal to every kind of hip hop fan”. “The idea of the free music is not really to give a bit of the album but a clue on what to expect, it is not just giving out free music. I would be counting down the album release with friends on Twitter and Facebook. The #Blackfriday tracks would be released every Friday night till the album drops on December 4th”, A-Q said. A-Q would be giving out free music via his Twitter (@thisisaq) and Facebook (Gil A-q Bani) page. Last week, he released the track – Somebody gats to die.